Does it seem like you have been short on patience and time? And the waiting is never ending? I know that’s how I’ve felt recently. But what a joy it is to know that if we wait for Him, we will be blessed. We must focus on the goal at hand, serving the Lord and doing what is in His will for us right now. And everything in the future will fall into place at the right moment. It’s just a matter of having the patience to wait and to not force something to happen when it’s not God’s time. I found this awesome recipe on Better, Homes, and Gardens. 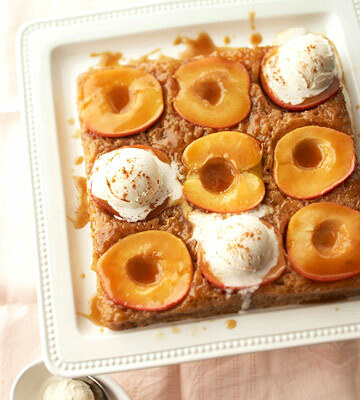 It’s called the Upside-Down One-Bowl Apple cake, it only requires ONE bowl!!! That means only one bowl to wash! Did I mention it only requires one bowl? !I will definitely have to try this recipe out this weekend! And doesn’t it look pretty? 1. Preheat oven to 350 degree F. Place the 1/3 cup butter in a 9x9x2-inch baking pan. Place in oven about 5 minutes or until butter is melted. Halve apples; remove stems. Using a melon baller or small spoon, scoop out apple cores. 2. Sprinkle brown sugar over melted butter; stir to combine. Spread evenly over bottom of pan. Arrange nine of the apple halves, cut sides down, in butter mixture. Bake for 10 to 15 minutes or until butter mixture is bubbly. 3. Meanwhile, peel and coarsely shred the remaining three apple halves; set aside. In a medium bowl, stir together flour, granulated sugar, baking powder, ginger, and cinnamon. Add shredded apple, milk, the 1/4 cup softened butter, the egg, and vanilla. Beat with an electric mixer on low speed until combined. Beat on medium speed for 1 minute. Gently spoon batter over apple halves in pan, spreading evenly (some apple may still be exposed and some butter mixture may come to the surface). 4. Bake about 35 minutes or until a toothpick inserted near the center comes out clean. Cool cake in pan on a wire rack for 5 minutes. 5. Using a sharp knife or narrow metal spatula, loosen edges of cake from sides of baking pan. Carefully invert onto a serving platter. Spoon any butter mixture remaining in pan onto cake. Cool for 20 minutes more. Serve warm. If desired, serve cake with ice cream. Makes 9 servings. Be of good courage, what does that mean to you? To me it means have faith, soldiers going into battle must have faith in their commander. We should have faith in our commander, the Almighty. We must also wait on Him, to wait on Him takes a great amount of faith. 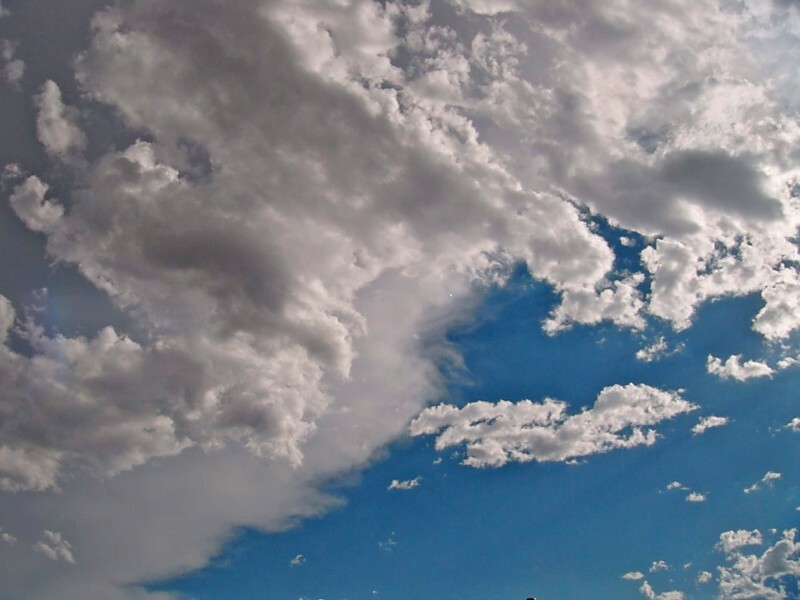 But as the psalmist says, “…He shall strengthn thine heart…”. So, if we have enough faith to wait on the Lord, then He will give us that strength we need to fight the good fight. All we have to do is wait. 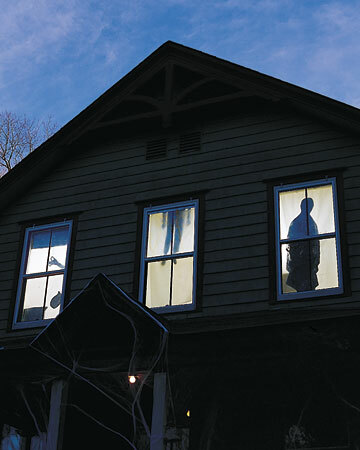 This year it seems that my neighborhood is celebrating that impending spooky holiday more so than in years past. Well, in the two years past since I’ve lived in the ‘hood. 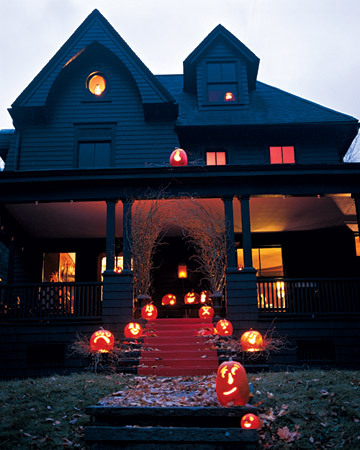 Anywho, while browsing through Better Homes and Gardens I came across some pretty spooky but sweet ideas to Halloween-ify my front porch. 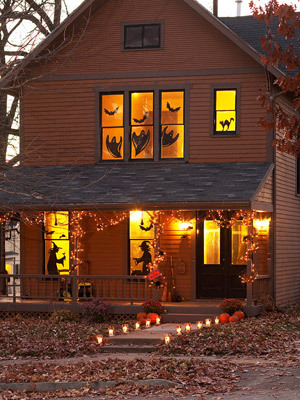 Maybe I’ll even venture out into the yard with the Halloween cheer! *GASP* As always, feel free to click on the picture to find out more information from the original source, bhg.com. I’ll start off with my favorite idea they had to offer.Witches Parking!!! 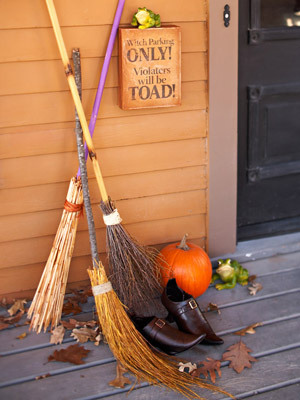 Who doesn’t feel like they deserve a broom to ride around on every once in a while? I know I shared some spooky sillouhettes yesterday, but I like this idea so much more. It seems a bit easier than painting a shape on to a white curtain. And the good folks at Better Homes and Gardens are even giving away the templates for these cute shadows! 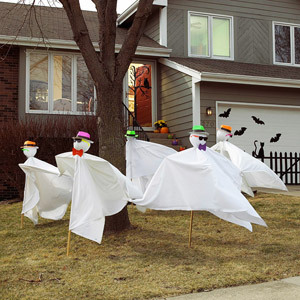 These ghosts look easy to make. With just a few cheap bed sheets and maybe some old broomsticks you could have a ghostly trio of your very own! 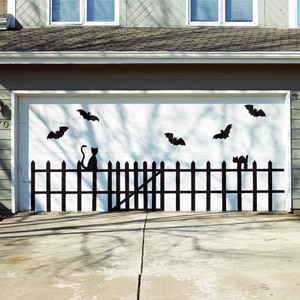 In the background of the above picture you can see a garage door all decked out for the most ghostly of holidays. They suggest using some 2in to3in black cloth tape to make these shapes. It could work, but I wonder what happens in it rains and the stick wheres off. Maybe they are just meant for one time use??? I really like the idea of these window webs, but after reading the instructions it seems a bit too complicated and time consuming for me. Anything requires straight pins is out of the questions for me. I always poke myself on those things. 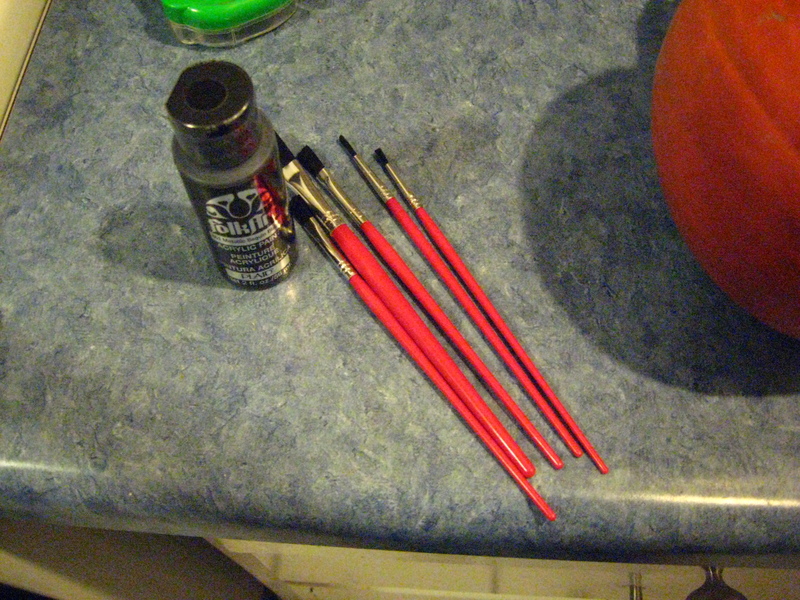 But I wonder if a couple of wooden dowels pained black and some black yarn wouldn’t do the trick? It’s time to hit up the dollar store for some spooky supplies. 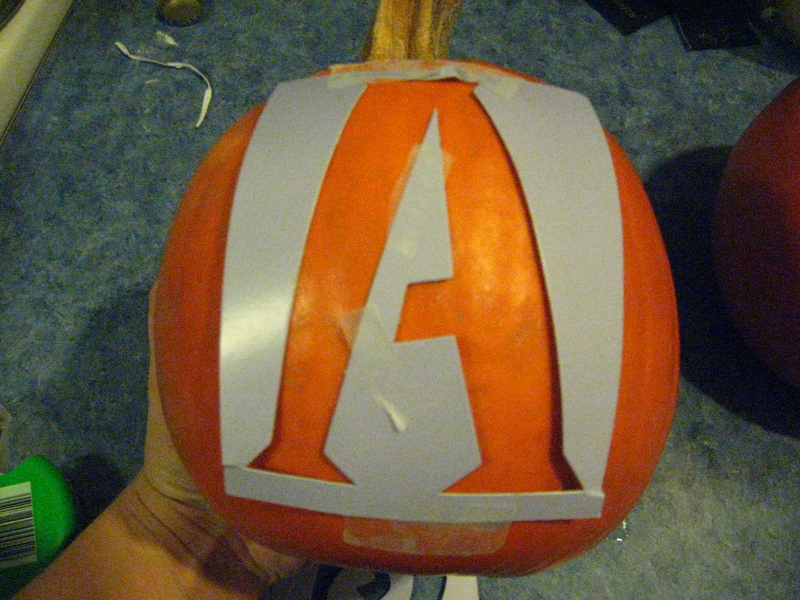 We’ll see how my spooky crafting goes! Don’t be impulsive, sounds easy enough right? Not so much. 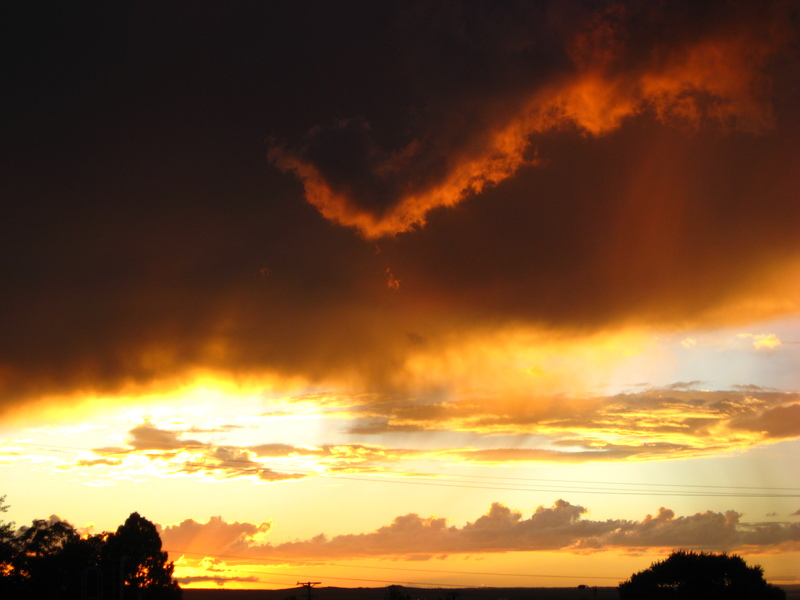 Sometimes we allow our human-ness to impede the development of our “disciple-hood”. Think about it, actions and words, when taken impulsively, can cause a lot of hurt to those around us. That’s why it’s so important to think and pray about what we do and what we say before we do it or say it. We must allow God into those actions and words for them to be truly used for His glory. As Mr. Chambers mentioned, we must allow Him into our ordinary everyday lives. Because isn’t that what our lives end up being, a lifetime of everyday? Why not put God into everyday, so in the end you’ll have a lifetime that was spent giving every minute, hour, day and year to the Lord. How wonderful would that be? Planning a wedding has become so much more time consuming than I could have ever imagined. 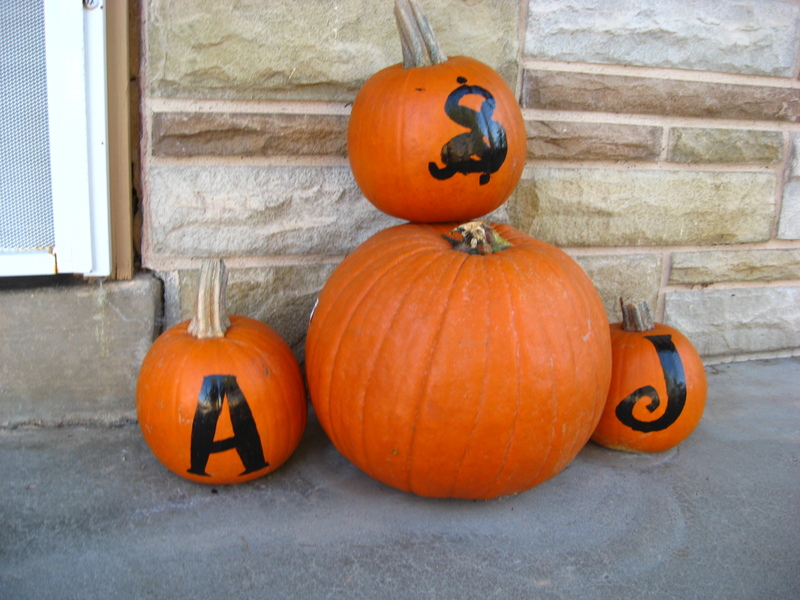 So, needless to say (and I’ll say it anyways), my Halloween and Fall decorating ideas haven’t been done. I really don’t forsee them getting accomplished this year, but at least I can blog about my favorite crafts ideas this year and dream. 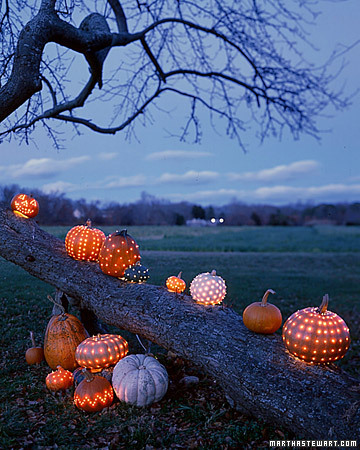 So, thanks to Martha Stewart I’ve found some pretty cute craft ideas for Halloween. 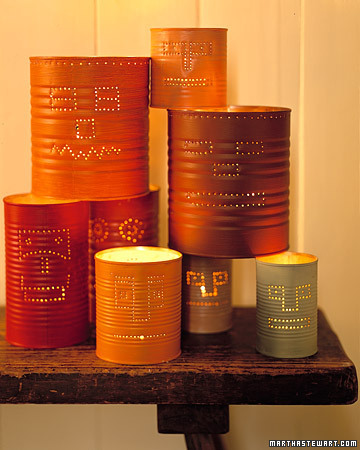 Feel free to click on the pictures to find out how to do these cute little projects for yourself. 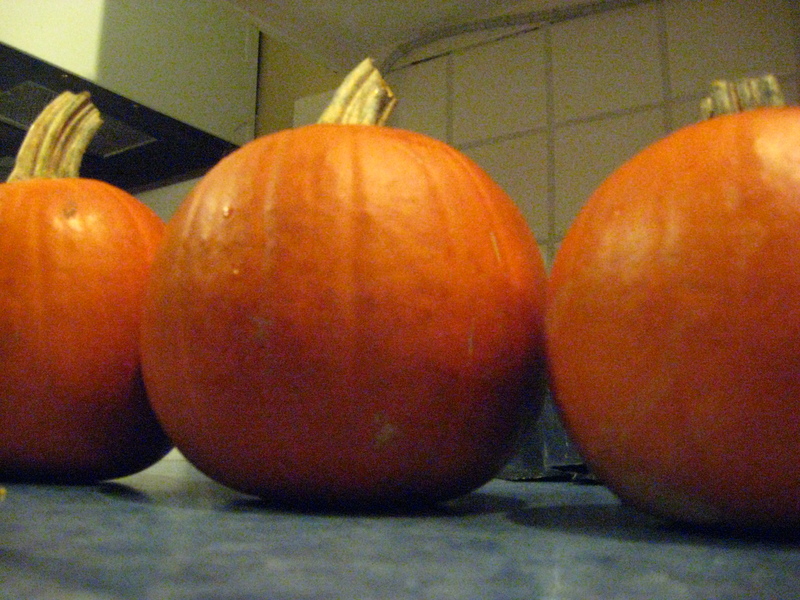 These cute tin pumpkins are so sweet. 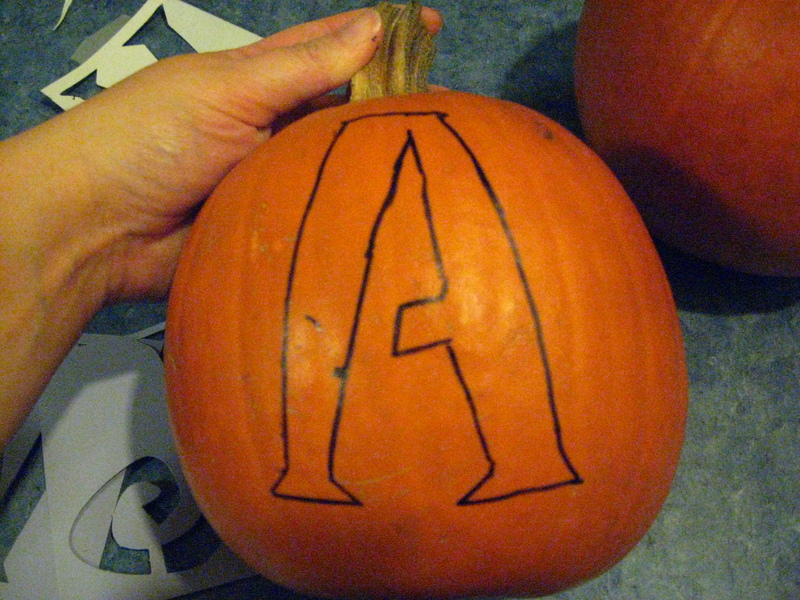 With just a few cans of left over paint, a hammer, and an awe, you’ve got some pretty AWEsome pumpkins. And the best part about these is that they can be used year after year. That is, if they don’t get lost in the garage. 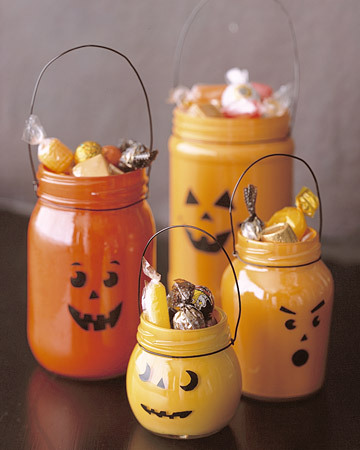 This jar idea is cute, and I bet you could even implement this idea for other holidays. For Christmas you could paint your jars red and green with cute little elf faces. At Valentines Day they could be red and pink, at Easter you could have happy pastel bunny jars. And they don’t necessarily have to have faces. But I think those smiling faces are just too adorable not to use! Good ol’ Martha Stewart called these “funkins”, and they could be fun to make. 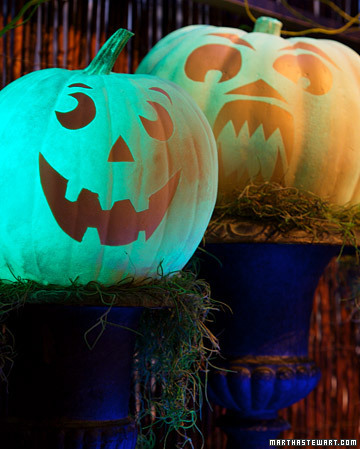 Glow in the dark powder and inexpensive fake but carveable pumpkins and a black light is all you really need to make these. Since this project sounds so easy and quick it might be something I could actually complete! This project seems a bit time consuming for me, but I thought they were creepy yet understated. 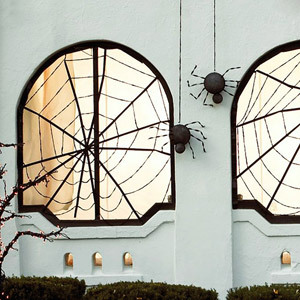 Which is what your Halloween decor should be right? 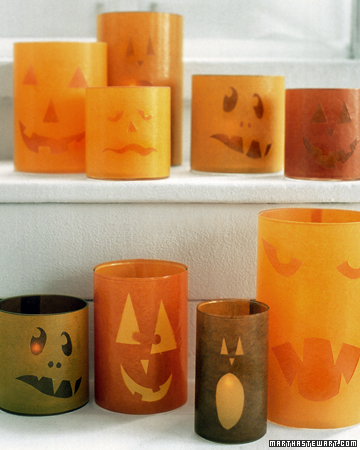 If you’re going to dress up for Halloween why not dress up your candles too? 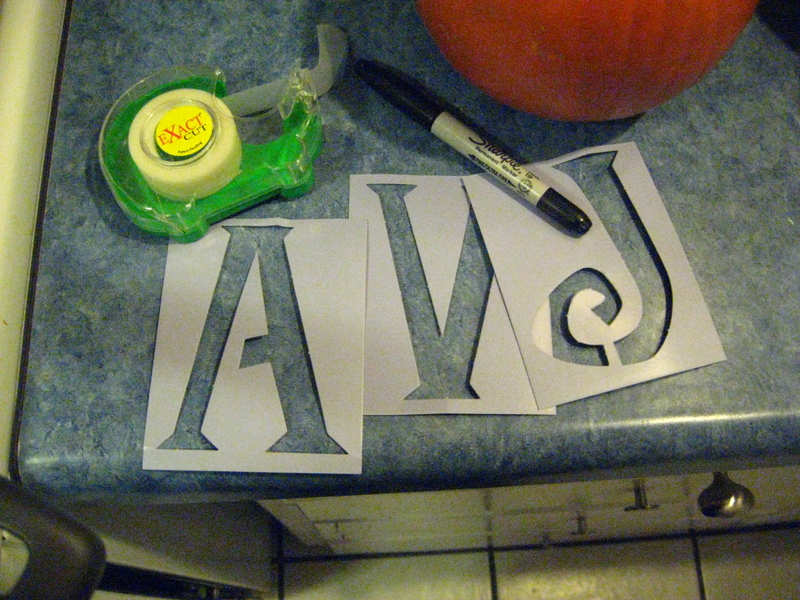 This little craft only requires some tissue paper, tape, an exacto knife, and of course a candle holder with a candle. I really like this idea, because for one it’s not permanent, and you won’t have to worry about storing a season specific item all year long. These ideas definitely got my crafty wheels turning! If I try any of these projects I’ll be sure to post about it. But don’t keep your fingers crossed, the headless horseman might come and make chocolate bars out of them! MAHAHAW…. “Don’t be impatient for the Lord to act. I know I need more patience Lord. But I simply cannot create it. I plead with You to do it for me. And, Lord could You hurry a little? Patience is such a fleeting thing for people today, myself included, one moment I have it and the next minute it’s gone. Or maybe I never had it in the first place. Like Ruth mentioned, patience is not something that can be created by us. It’s a gift from God. In our culture today, everything can be bought or found instantly. But when it comes to the fruits of the spirit mentioned in Galatians, we can’t be find those up for auction on Ebay. Those fruits are things that we must wait for God to bless us with as we walk along the path that He has set before us. It does us no good to cross our arms and tap our toe, and ask God when? How? Are you listening? Because we cannot know the when or the how only the Lord knows our “due season”. The only thing we can do is wait, listen, and keep walking.